UPDATE: This post has been updated and now contains the video of the exchange between Mayor Boughton and immigration lawyer Philip Berns. Did Mayor Boughton go too far personally attacking immigration lawyer Philip Berns? Did Berns get under Boughton's skin when he commented that Danbury does not care about the immigrant population? The topic of conversation among many who attended the forum on immigration Wednesday night wasn't the immigration issue, but the sharp verbal exchange between Boughton and Berns. The two people were invited to speak about illegal immigration in Danbury but things quickly degraded and became personal with each taking verbal shots at each other. Things seem to reach a boiling point when Mayor Boughton personally attacked Berns' career as an immigration attorney. You missed the forum? Upset you missed the fireworks? Heard about the exchange and want to see for you if Boughton or Berns went over the line? Well, don't worry; we have the videoclip so you can judge for yourself. One thing is certain, this issue has angered people on both sides and if last night is any indication, this topic (and the anti-immigration rhetoric expressed by the radical members of the audience) will not go away any time soon. There was much more that happened at the forum and we'll post more video highlights, comments from those who attended, and a full report on the event later. An immigration forum will be held tonight at the Danbury Public Library at 6 PM. 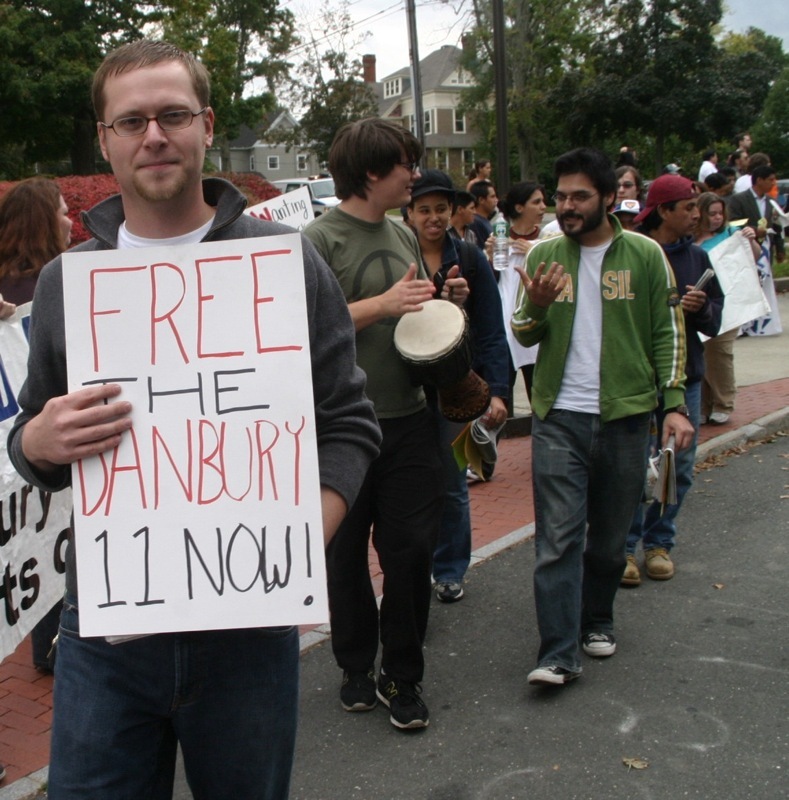 Speaking wil be Danbury Mayor Mark Boughton and immigration lawyer Philip Berns. Seating is limited so arrive early. UPDATE (10:15): Just came back from the forum and I'm currently processing the video footage. I'll have a full round-up soon. Below is a list of the Democratic delegates for Danbury that will attend the Democratic State Convention on Saturday May 20th. Thursday night the Ridgefield Democrats held their caucus to elect delegates to the three conventions that will be held around the state in May to nominate candidates for this fall's elections. 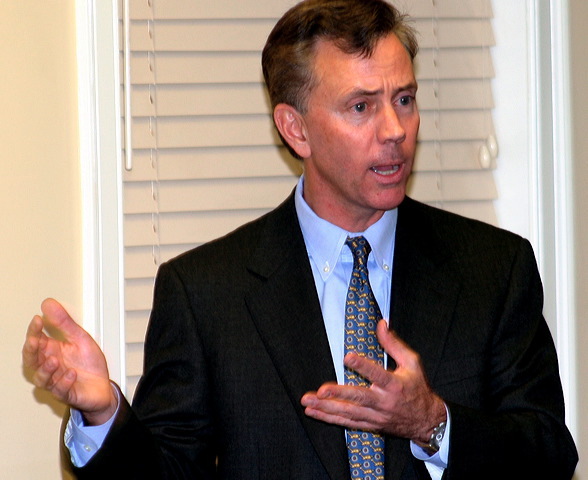 Eight supporters of U.S. Senate candidate Ned Lamont were elected out of a total 11 delegates from Ridgefield elected. Lieberman has to be nervous right about now. On Thursday night, Joe DaSilva, the newly elected head of the Democratic Town Committee, gave his first public interview since the Democratic primary. On the public access show "Ideas and Beyond" DaSilva addressed a wide range of quesitons regarding the major issues in Danbury and had some very pointed comments about Mayor Mark Boughton. To play any of the video segements, click on the play button. Also, this is a new video service so if you experience playback problems, hit pause and allow your computer time to upload the video stream. 1. Joe DaSilva addresses the new bond packages in Danbury and the BRT development on Kennedy Road. 2. Joe DaSilva continues his discussion on the BRT development on Kennedy Road. 3. Joe DaSilva addresses Mayor Mark Boughton and the illegal immigration issue. 4. 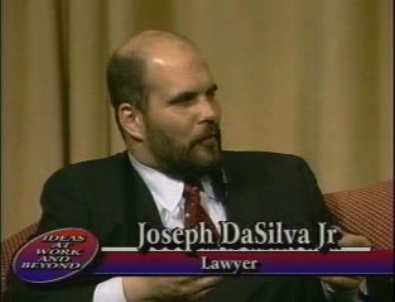 Joe DaSilva addresses the police contract dispute. 5. Joe DaSilva and Eileen Coladarci discuss the recent developments surrounding the Robert's Avenue School project.